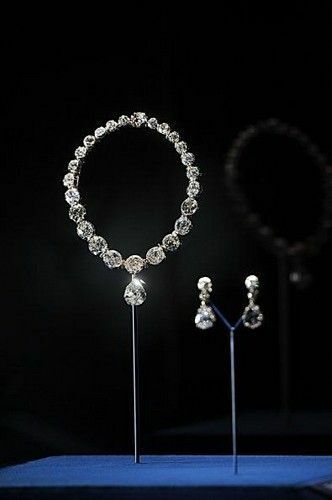 LONDON.- More than 10,000 diamonds set in works acquired by six monarchs over three centuries go on display at Buckingham Palace to mark Her Majesty The Queen’s 60-year reign. 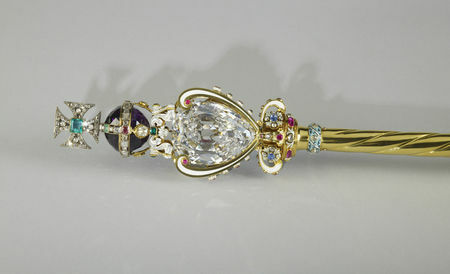 The special exhibition Diamonds: A Jubilee Celebration (30 June – 8 July & 31 July – 7 October) includes a number of The Queen’s personal jewels and works from the Royal Collection chosen for their artistic significance and their historic importance, and for the supreme skill in diamond cutting and mounting they embody. 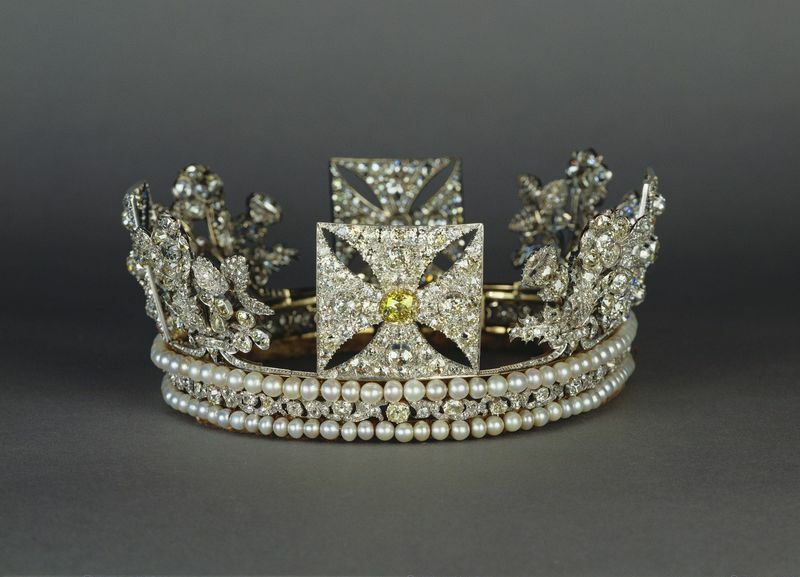 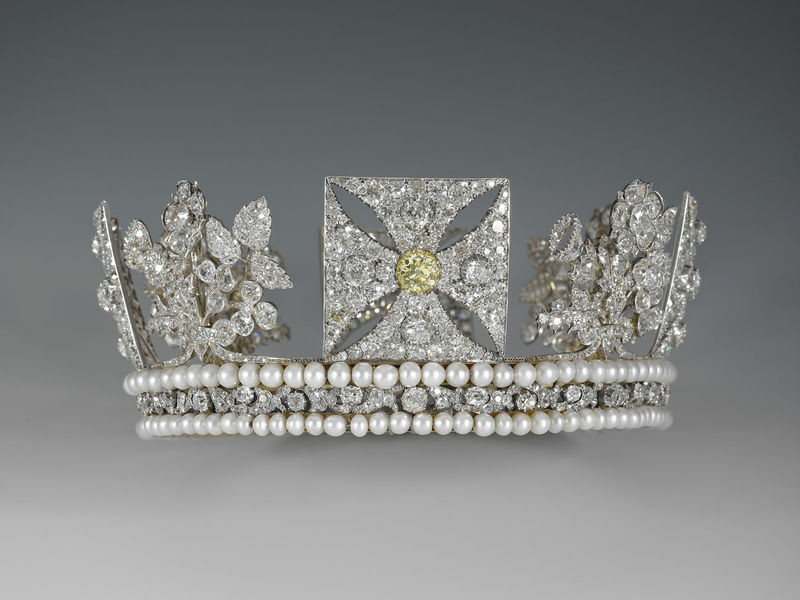 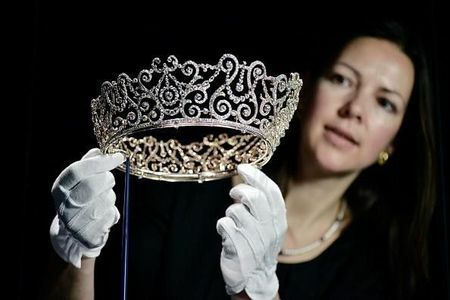 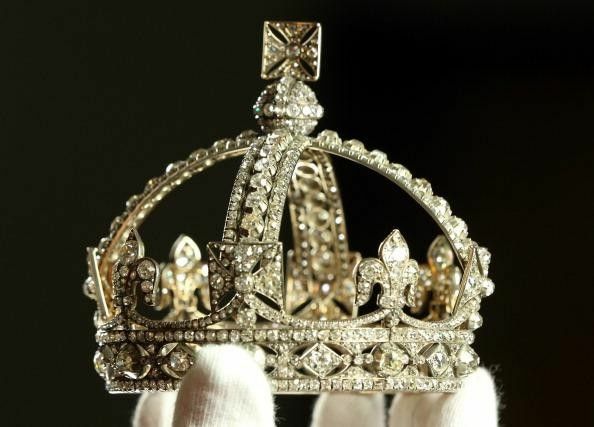 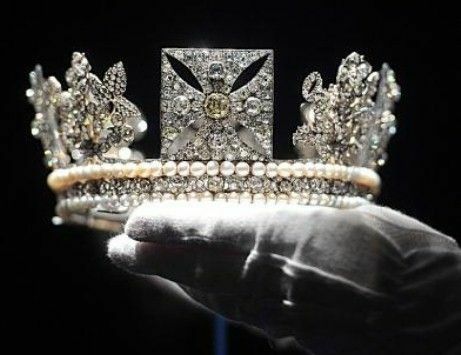 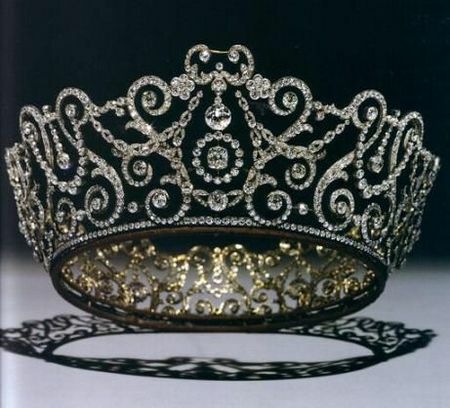 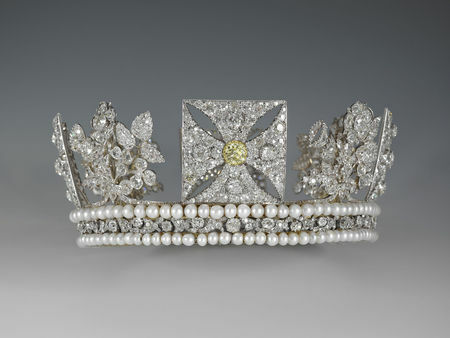 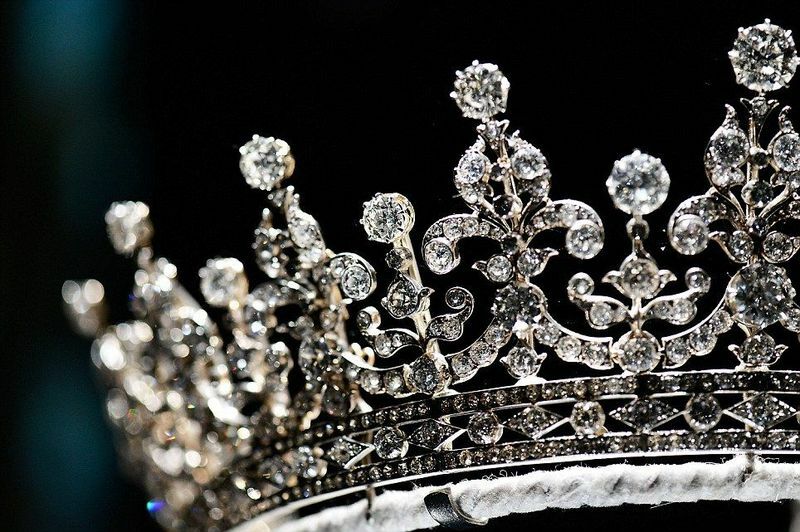 Several pieces of jewellery, such as the Delhi Durbar Tiara, Queen Victoria’s Fringe Brooch and the Kokoshnik Tiara, are on display for the first time. The exhibition also includes jewellery made from the world’s largest diamond, the Cullinan Diamond, which weighed 3,106 carats as an uncut stone. Pieces containing seven of the nine principal stones cut from the Cullinan Diamond are reunited for the first time. They include the Cullinan III and IV Brooch, worn by The Queen for the National Service of Thanksgiving for Her Majesty’s Diamond Jubilee, at St Paul’s Cathedral, on 5 June 2012. Diamond, the hardest natural material known, has for centuries carried associations of endurance and longevity. 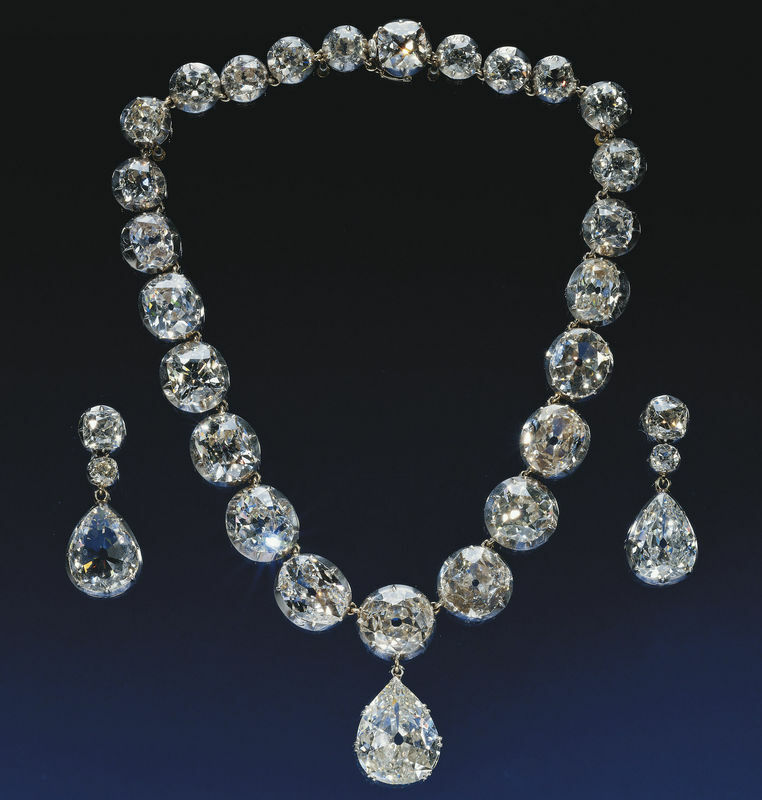 These qualities, allied to the purity, magnificence and value of the stones, have led rulers to deploy diamonds in regalia, jewellery and precious objects. 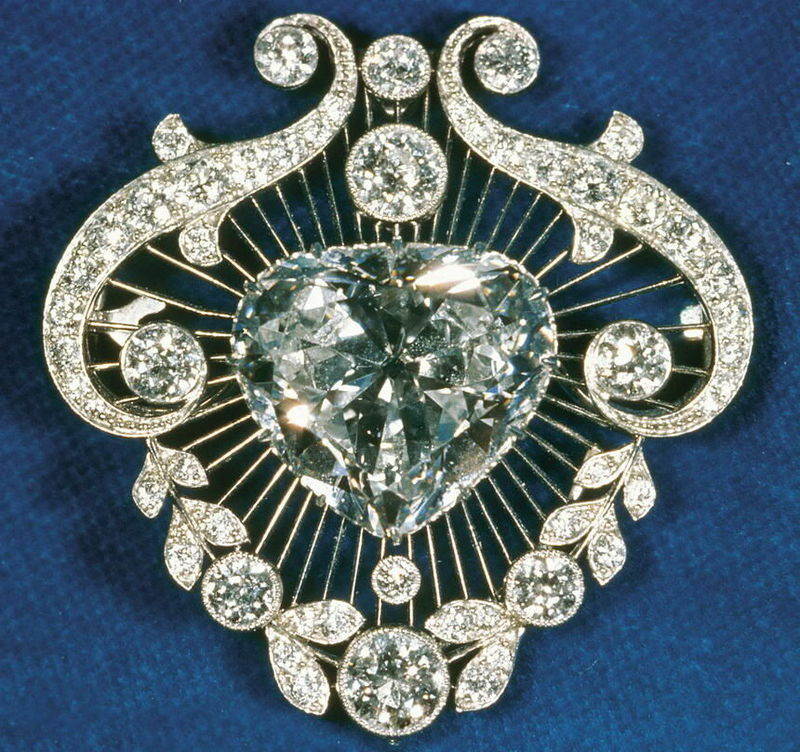 Individual diamonds have achieved great renown, passing down the generations and between enemies or allies as potent symbols of sovereignty and as precious gifts. 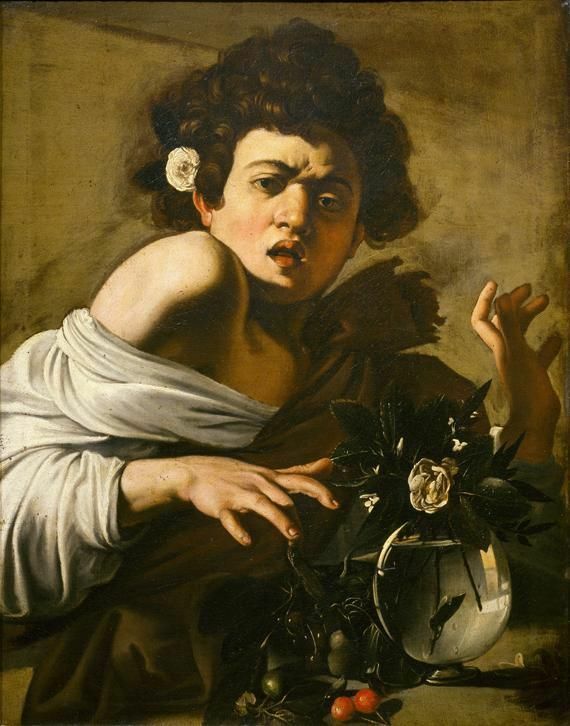 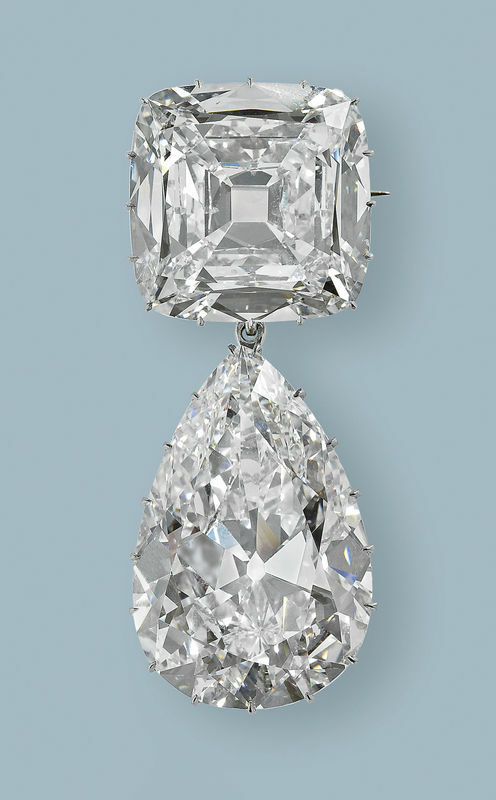 Many of these extraordinary stones have undergone a number of transformations during their history, having been re-cut or incorporated into new settings as fashions and tastes have changed. 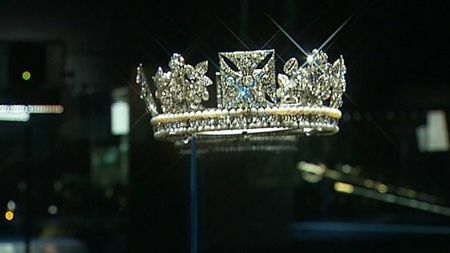 The exhibition includes several pieces commissioned by Queen Victoria, the only other monarch to celebrate a Diamond Jubilee. They include the magnificent Coronation Necklace created for her and subsequently worn by Queen Alexandra, Queen Mary, Queen Elizabeth (The Queen Mother) and Her Majesty The Queen at their coronations. 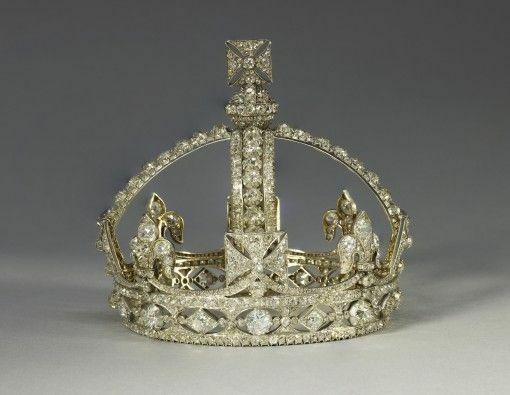 Also on display is the beautiful miniature crown worn by Queen Victoria for her official Diamond Jubilee portrait in 1897. 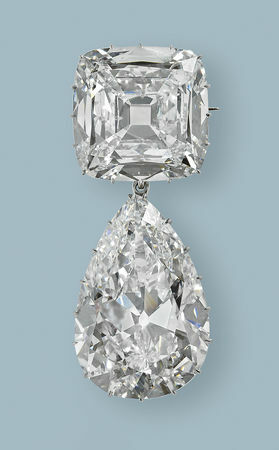 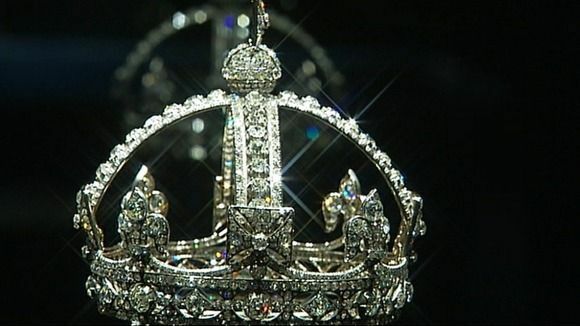 The crown’s 1,187 diamonds give it a grandeur that belies its tiny proportions – it measures just 9 x 10cm. 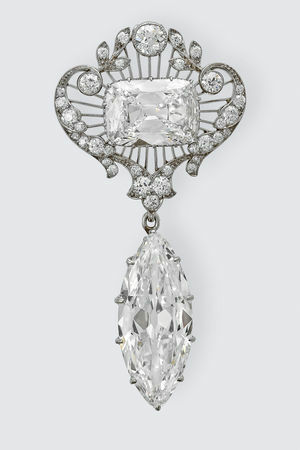 During The Queen’s reign, diamonds acquired by previous monarchs have continued to play an important role on State and ceremonial occasions. 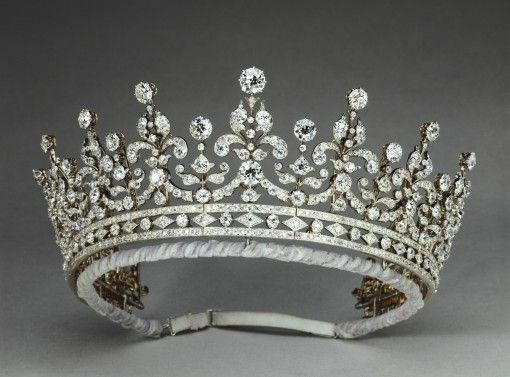 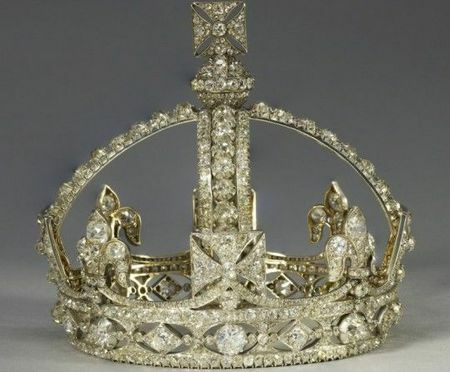 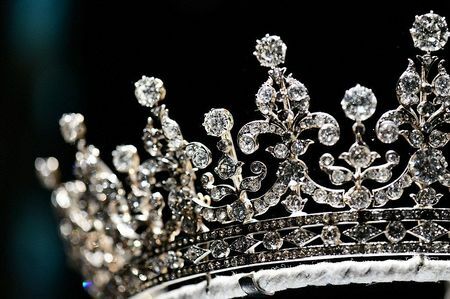 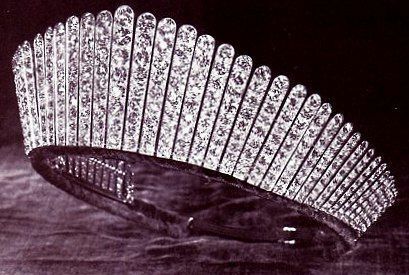 The Diamond Diadem, made for the famously extravagant coronation of George IV in 1821, has been worn by The Queen to and from theState Opening of Parliament since the first of her reign. Set with 1,333 brilliant-cut diamonds, it is one of Her Majesty’s most widely recognised pieces of jewellery, appearing on British and Commonwealth stamps and also on certain issues of banknotes and coinage. 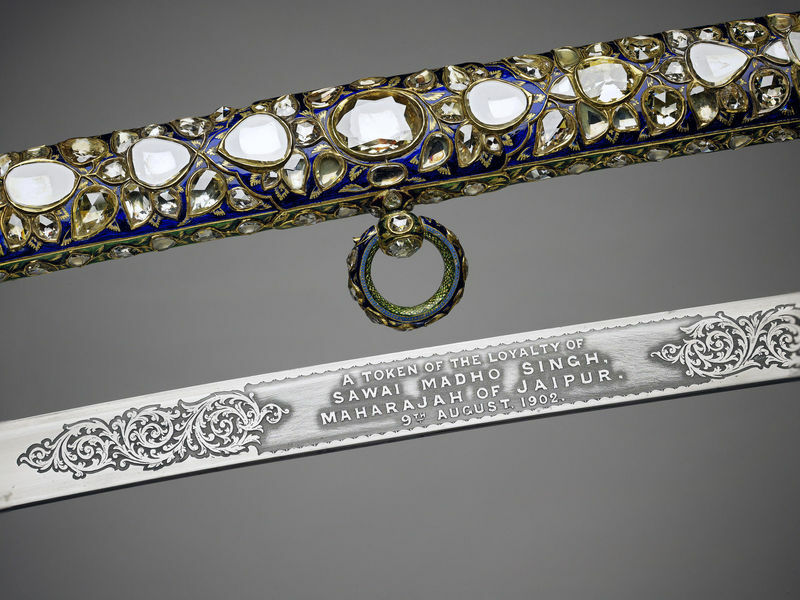 Among items of The Queen’s personal jewellery are a number of pieces marking important events in Her Majesty’s life. 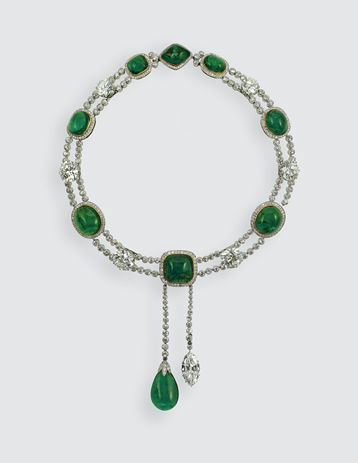 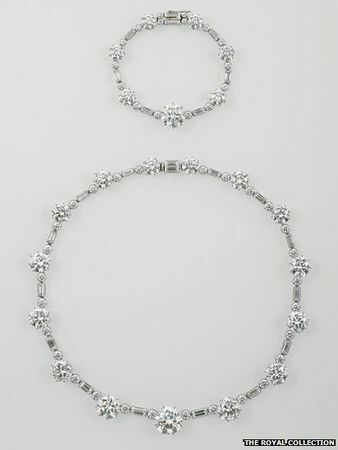 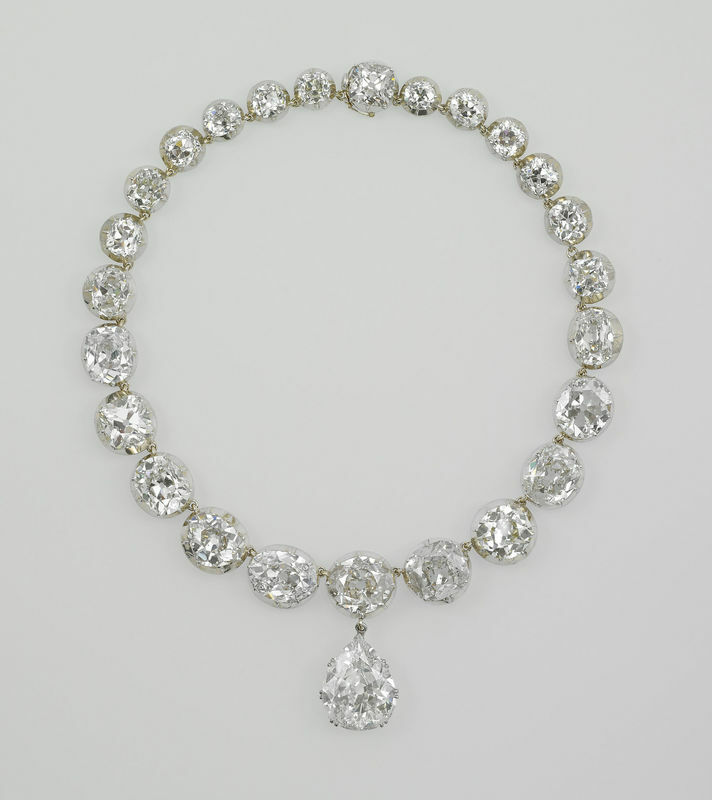 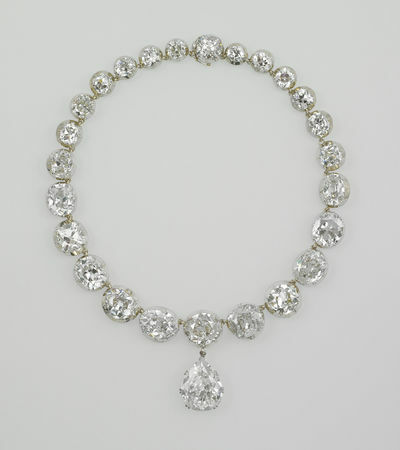 The South Africa Necklace was presented to the then Princess Elizabeth on her 21st birthday in 1947. 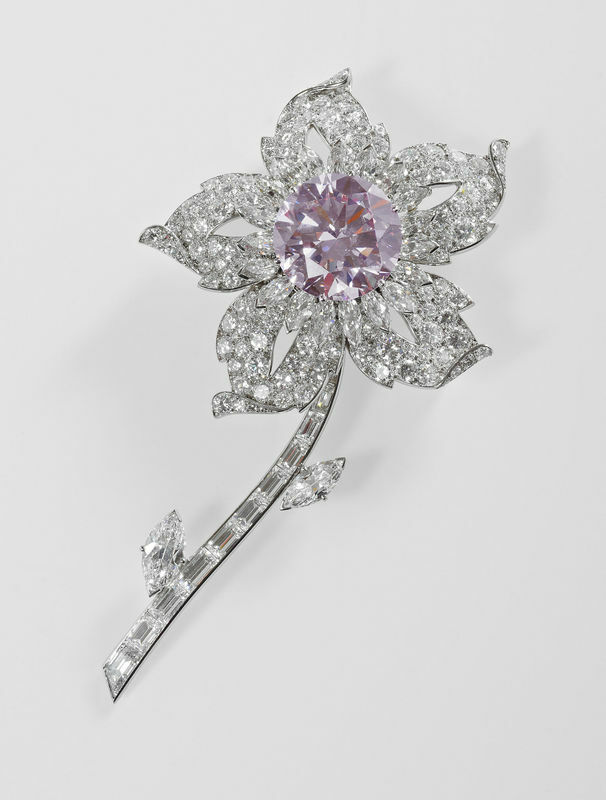 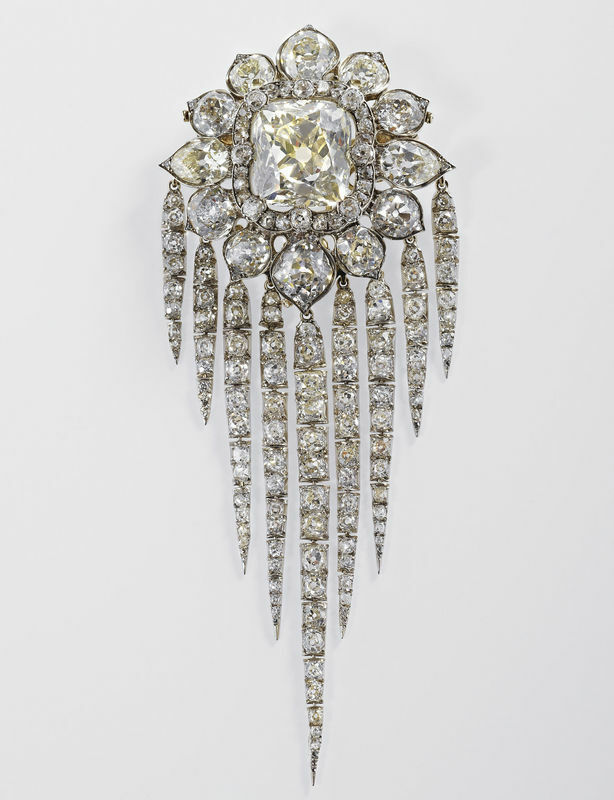 The Williamson Brooch incorporates at its centre what is considered to be the finest pink diamond ever discovered. 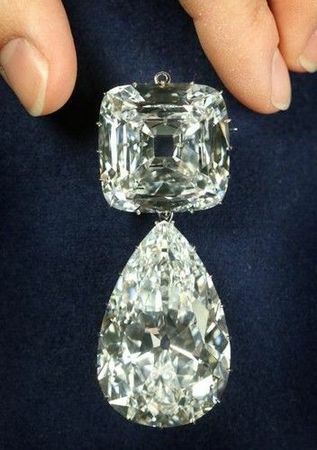 The diamond was found in Tanzania in 1947 by the Canadian geologist Dr JT Williamson, who gave the uncut stone to Princess Elizabeth for her wedding in November that year. 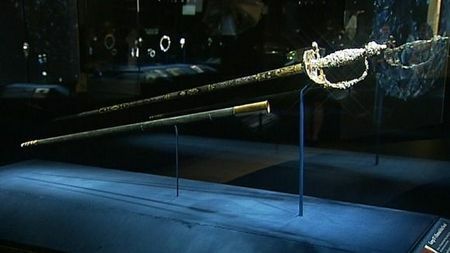 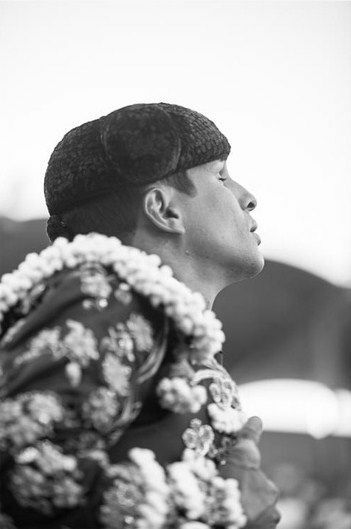 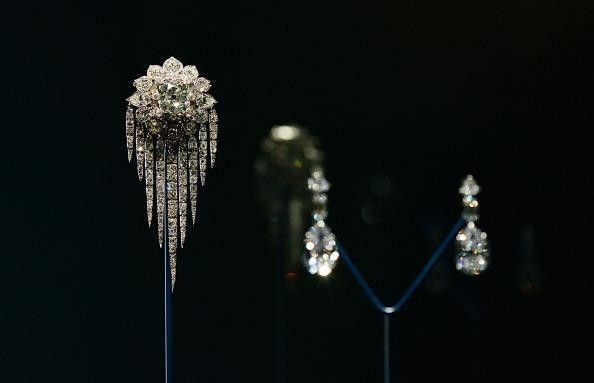 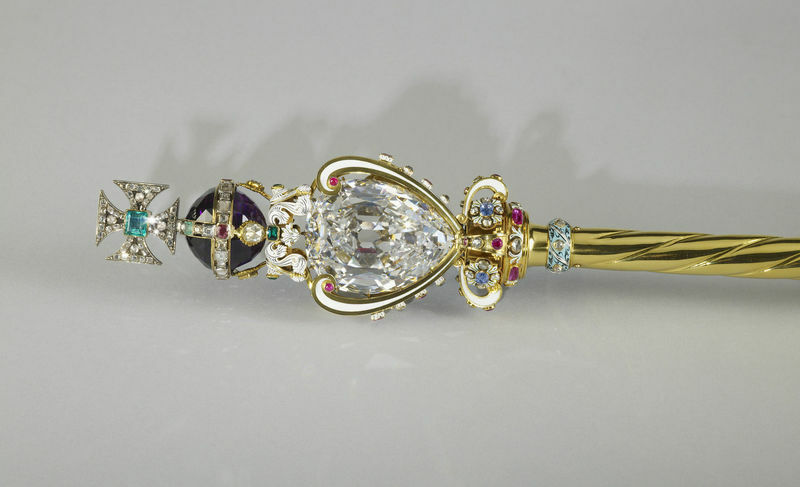 The exhibition also includes historic objects that show the skill and ingenuity with which diamonds have been used in different cultures and traditions. 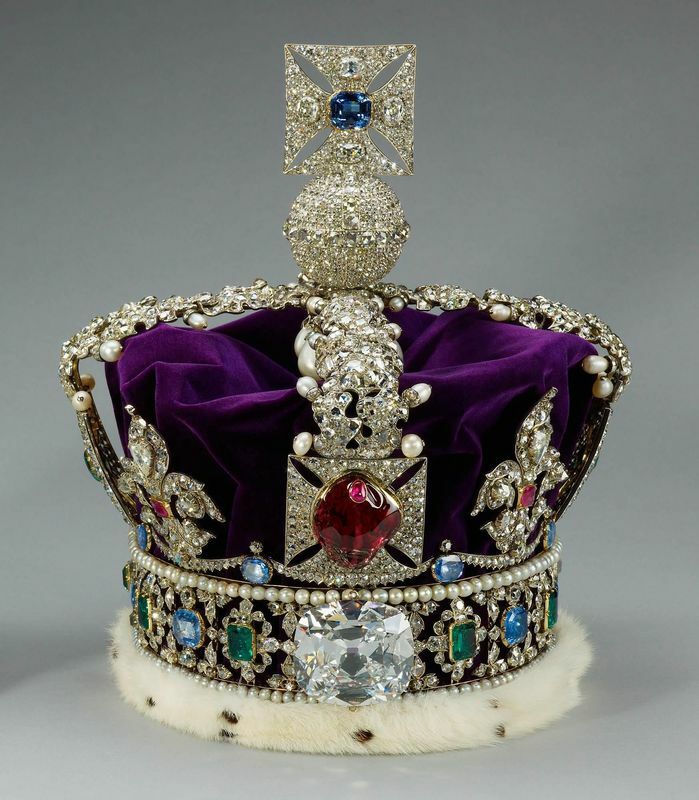 They include the exquisite 18th-century bloodstone box made for King Frederick the Great of Prussia. 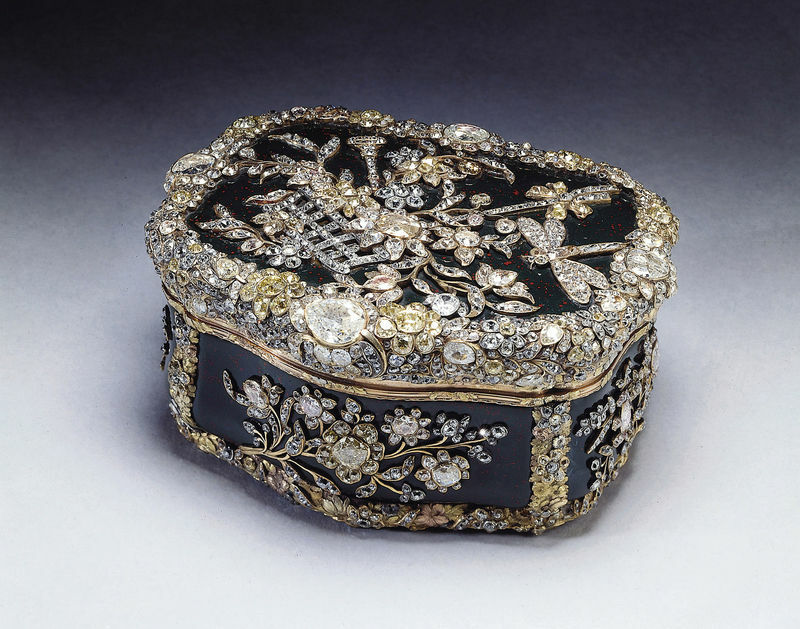 The box incorporates nearly 3,000 diamonds arranged pictorially to represent flowers, insects and musical instruments. 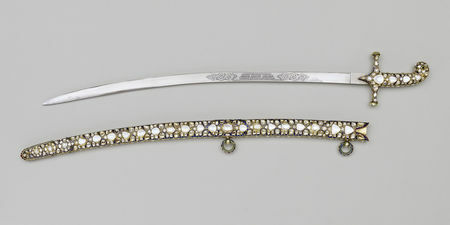 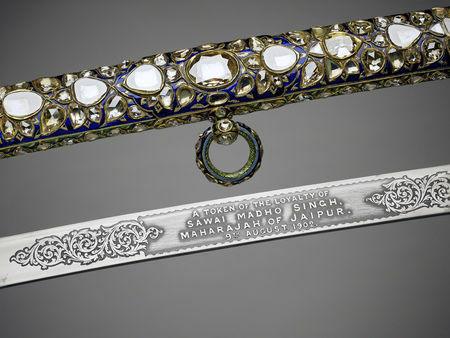 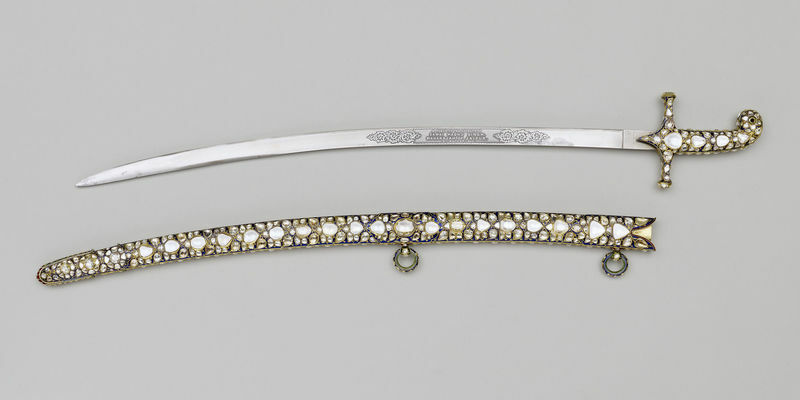 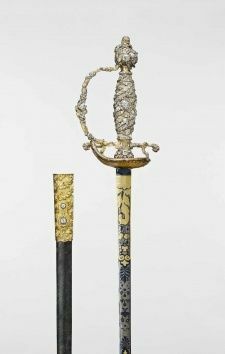 The Jaipur Sword was presented to King Edward VII for his coronation in 1902 by the Maharajah of Jaipur. 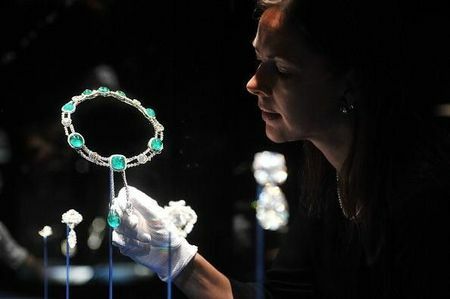 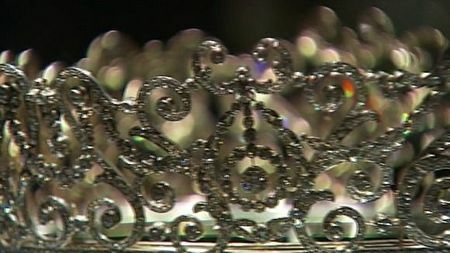 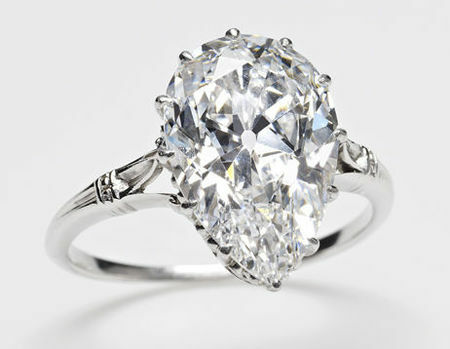 It is set with 719 diamonds, weighing a total of 2,000 carats.